The journey towards finding a forever home can be filled with twists and turns. For many of the dogs and cats in our care it takes the effort of a group of caring individuals to help make this journey possible. 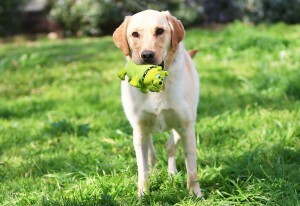 For two year-old Labrador, Brody, the road to his forever home has been anything but smooth. Arriving at our North Melbourne shelter in August, it was quickly clear that Brody had a big injury requiring the expertise of Veterinary Surgeon Dr Ton Tancharoen and the Frank Samways Veterinary Clinic team to repair. “Brody’s hip had dislocated a fair distance from the socket, which I suspect was most likely a result of vehicular trauma. “Usually, when dislocations are diagnosed we surgically put the limb into the socket and repair the ruptured joint capsule. This is performed as soon as possible and the leg is held in a sling afterwards for many days. To restore function to the hip, Brody underwent surgery to remove the ball portion of the joint. Over time the formation of scar tissue and muscle development will help hold the hip together. “By removing the femoral head the hip can no longer dislocate from the socket. This prevents further pain and bone to bone contact. “A day after surgery, Brody began using his leg again; however he will need regular exercise to allow for sufficient muscle to develop. But with the right owner committed to keeping him fit and healthy this will happen naturally,” said Ton. With surgery behind him, Brody was placed into the care of our adoptions team to rest and recuperate. “Since his surgery Brody has become a happy, healthy and intelligent young dog,” said Adoptions Nurse Rebecca. 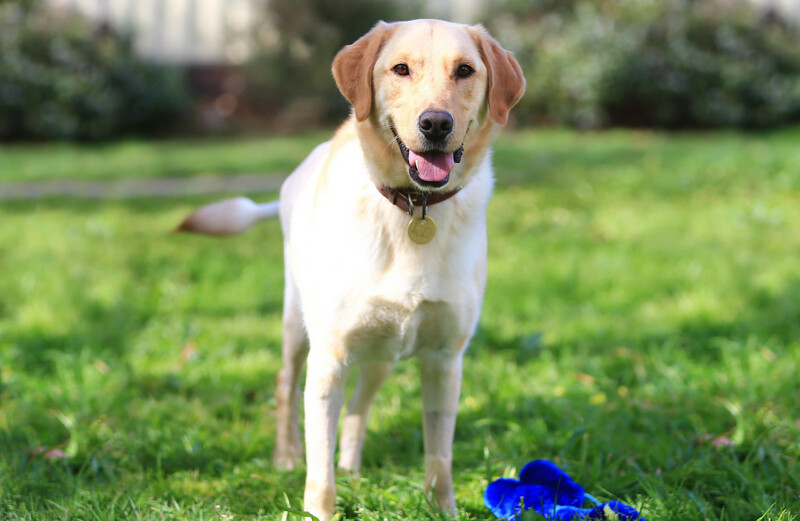 “Brody would make a perfect pet for an active family committed to walking and playing with him every day,” said Rebecca. This friendly canine is an ideal family pet and with the brains to match his handsome exterior he would benefit from dog training to keep up his mental stimulation and to teach him some good doggy manners. “Because he is so smart training Brody would be a lot of fun of the whole family and a great opportunity for him to bond with you. “Everyone involved in his care has developed a soft spot for this super loyal young dog and we are all looking forward to seeing him go on to find his perfect family,” said Rebecca. Do you think you would be a perfect match for Brody? View his profile today. You can also meet him in the fur at our North Melbourne shelter at 2 Gracie Street, North Melbourne.